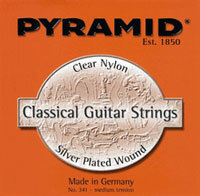 7 String Classical Medium Tension Classical Guitar Strings. Silver-plated copper wound on nylon silk core. These strings on the gutiar sounded terrible !!! This is most bad string that I have met.